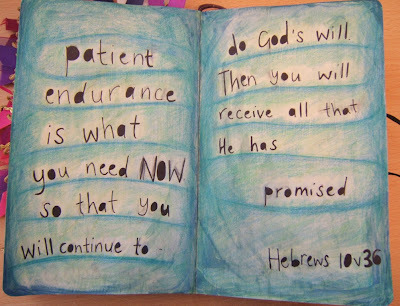 Are we patient? Everywhere and every day I hear about people getting cold feet, knuckling under, throwing in the towel, falling by the wayside. Long-standing incumbent Senators are retiring rather than face up to angry, impatient voters. Massachusetts told the country, in effect, "throw that health care baby out, and her bath water too!" Many commentators are calling President Obama a failure after a single, hectically frantic year. Ours historically is not a nation of quitters. We were born fighting, after all. But our drive for results has often become a demand and even an expectation for early returns and quick fixes. Wall Street wants earnings to drive higher quarter-on-quarter, and CEOs run their companies to meet those expectations. But systems that have been broken for decades are somehow to be comprehensively reformed, regulated, and governed into affordable shape--in a year? Unfortunately many of us have also walked away from our jobs (employers of course aren't loyal anymore), our homes (mail the keys back to the bank), our marriages (God doesn't really hate divorce, does she? ), or our church (in the car, children, we're going church shopping again!) Personally I prefer to remain where I'm firmly planted. I've had the same employer since 2001, same home since 1997, same wife since 1980. (thank you God and thank you Sheri!) At St Matthew's since 1988, in the Episcopal Church since 1965 (not quite from the cradle). Not that there aren't challenges every day to one or another of my commitments, and I know I haven't faced the challenges that many people have had, in this economy or any prior. I make no profession of anything other than day-in, day-out, year-in, year-out consistency. But I believe that I'm where I am because God can use me in this place. Has not God worked at St Matthew's? Will God not continue to work at St Matthew's? Do you want to be amazed by what God can do? Stick around. Persevere. Knuckle down, not under. The best is yet to come.